Visit the Bike and Hike Oman Blog to stay updated with the latest cycling and hiking trends. 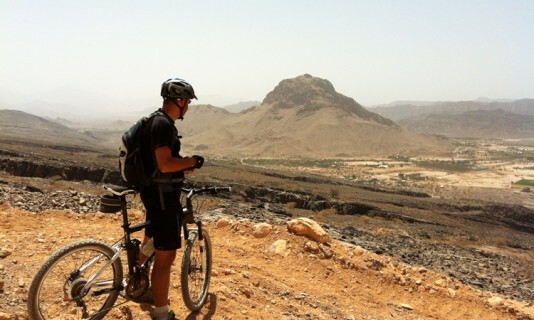 Here we bring you lots of interesting blogs related to hiking or biking in Oman. 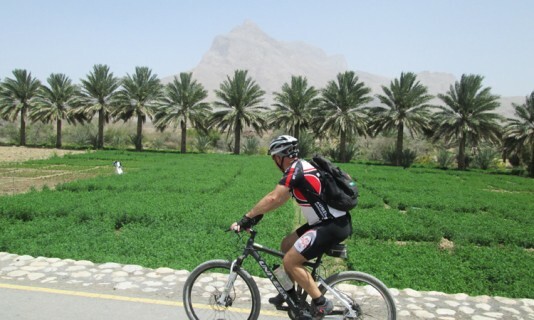 The Sultanate of Oman is the perfect place to combine a cycling tour with some of the best sights in the Middle East. Mountain bicycling tours takes us through dusty paths, hill top villages, and hidden Wadi, while along the way we may come across bustling busy cities which offer a taste of the country and empty desert roads where the communities are sparse and nomadic and the landscape vast and spectacular. 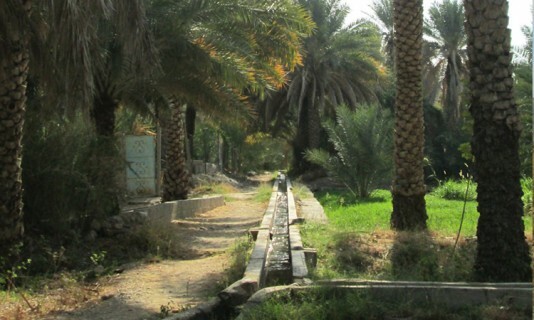 And if the idea of open exercise and explorations under the open skies are not enough you can even explore the Alfaj irrigation systems found all over that have been deemed World Heritage Sites by UNESCO. There lie vast undiscovered trails suitable for mountain biking in Oman that offer a challenge to experienced mountain bikers who want to ride the adventurous routes through some of the most spectacular places on Oman. For those who are looking to enter into the world of Mountain biking too, Oman presents an opportunity like no other with a wide variety of both easily traversable and strenuous trails that offer all cyclists an opportunity to improve their skills while discovering the countryside or rather the mountainsides. Whenever you intend to plan a hiking trip with your kids, the first step is always to plot out the whole trip and challenges in advance and prepare for them so you can have an enjoyable time in nature with your children. Getting the kids out on the trail is a fantastic way to both gain some fresh air and exercise and teach the youth to appreciate and enjoy nature. 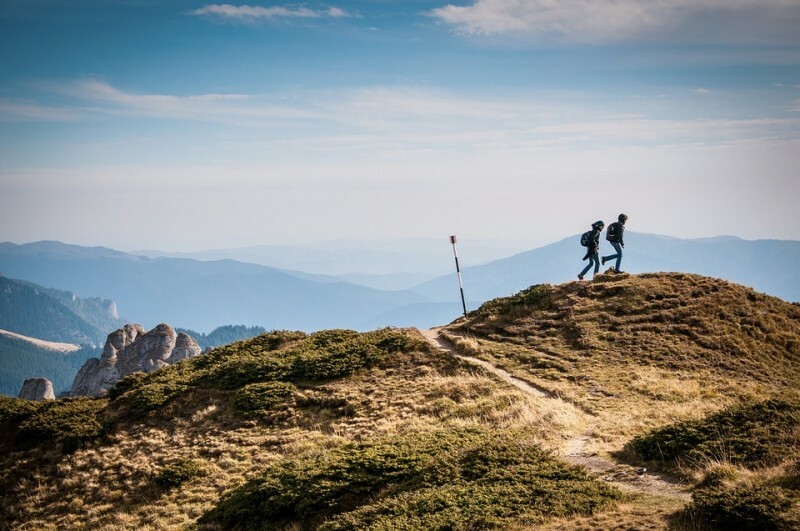 Choose age and interest appropriate hikes: We would suggest that at least the first couple of times you should select routes that aren’t too long, strenuous or boring. Also be sure to plan for plenty of stops and in this case choosing a trail that has some interesting stops like streams, canyons, or waterfall will keep kids enthusiastic and give them a goal to reach. Be sure to remember to plan for detours when your child may get distracted by exploring the undergrowth or a bird or animal on the way. Get everyone into appropriate attire Layer as much as you can as even if the day starts out hot, it can get cold in some areas and a sudden drizzle could ruin the day. So be sure to carry enough layers so your child dose’t get cold while out on the trail and always bring rain appropriate clothing as apart from the damp weather, they also work well as windcheaters. Don’t forget the accessories, get everyone to carry hats, sunglasses and gloves even in the summer and hikes can get chilly. Choose a familiar hike so you can assess if you will need to get special footwear for the children which, depending on terrain, could range from sandals to proper hiking boots. And in general we would suggest that you pack a towel and a change of clothes to keep in the car as kids tend to get messy while exploring. Keep plenty of snack and treats and water Children tend to get cranky when they are tired crossing long stretches. Taking short break to snack along the way is a fun time to regroup and rest before moving on. And some fun treats always cheer up young minds. It is also essential to stay hydrated while hiking and its always better to take a little more than less when travelling with children. Pack Some kid-friendly supplies Apart from snack and drinks we suggest you look through our suggestions of general supplies that can be useful when you have kids around. These can include wet wipes, tissues, binoculars, magnifying glass, maps, and guides to point things out to kids, a camera, and a safety whistle for each child to use if they wander or are in distress. Plan It Out Take a look at the forcast of the day when you are planning your hike and prepare accordingly, Look at destinations that would interest your kids and plan for plenty of breaks on the way. Ask the children for ideas of possible things to do or see at your destination and be sure to take their input seriously to ensure a fun time for them. And while it is fun to have a family outing, it would be even better to go in a group with your other friends and kids can get bored and generally prefer to have company. 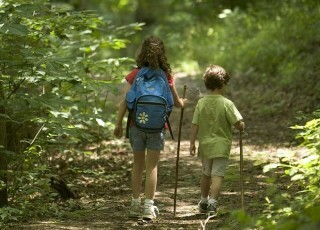 Plus you can make the hike a fun teachable experience. Have Realistic Expectations When Hiking With Kids At the end of the day your expectations have to be realistic for the hike to work. There are going to be difficulties when you plan to go hiking with children and you can’t expect everyone to be happy all the time or expect your kids to hike beyond their limit. You just have to prepare and deal with any situation and then move on and enjoy your hike. Plan for some games that you can play on the go to keep them entertained if they get bored. Leave No trace Our children are the ones that will inherit the earth and what better time than now to teach them about the planet and being responsible. While out on a hike, ensure that all the trash is collected by taking a simple garbage bag along with you where the kids can pack away any garbage instead of littering nature’s beauty. Whenever you take a break, be sure to check the area and see that everything is ok before moving on. Remember to Have Fun It can seem like a daunting task to go hiking with children but the reality of it is quite enjoyable and easily managed if you keep the basics in mind. 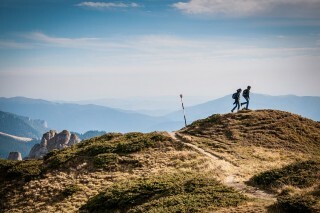 Hiking is supposed to be about a fun adventure and connecting with nature. Children love the thrill of doing something new and with hiking there is a vast range of trails, terrain and sights for children to experience. With the amount of time kids these days spend indoors during the weekdays, a weekend hike is a fantastic way to get them outside. So go have fun. Most people don’t add Oman to their cycling vacation destinations. We’re here to tell you the 5 reasons why you definitely should. The desert landscape of Oman doesn’t sound like the perfect venue for a cycling holiday – especially if you live in Europe where you have the famed mountains of France and Italy, plus the varied terrain of mainland Spain and its neighbours as rivals much closer to home. However, with just a few more hours in the air, you’ll find a cyclist’s dream with empty roads, great tracks, mountainous tarmac and a wide variety of landscapes. The travel industry is cottoning on to the attraction of cycling in Oman, with many hotels tying up with tour providers like Bike and Hike Oman to launch cycling holiday package that incorporates accommodation with rides on the best roads the region has to offer. You can even plan your own itinerary if you don’t fancy setting out on group tours. Want to get ahead of the curve? Here are five reasons why you need to make Oman your next stop for a two-wheeled holiday. Even though going trekking is an exciting experience, it is not possible to regularly get away from you hectic schedule. However, short micro adventure like going hiking over the weekend is a fantastic way to revitalizing your life by immersing yourself in a little excitement amidst nature. Besides its a super easy way to plan a short break over the weekend so your can start the next week on a fresh note. Whether with friends or on your own- here are 10 reasons to plan a hike this weekend.